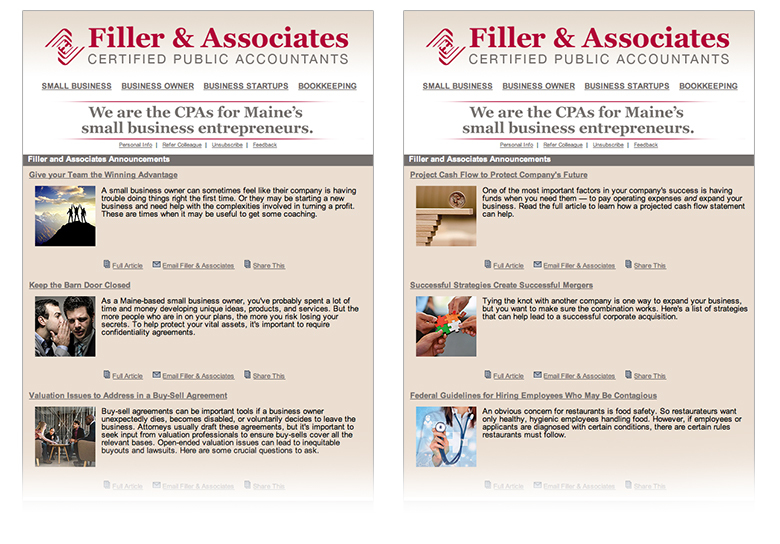 Filler & Associates is a CPA firm providing small business accounting services, business valuation services and litigation support. 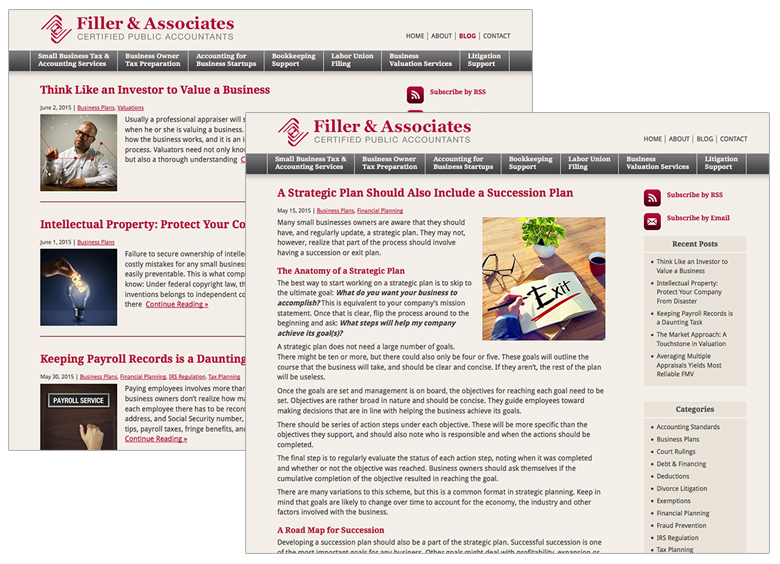 After upgrading the web site design, Visible Logic redesigned the e-newsletter template to connect visually. Additionally, the e-newsletter now links back to the individual blog posts so that readers connect to the Filler web site and we have more trackable data points. 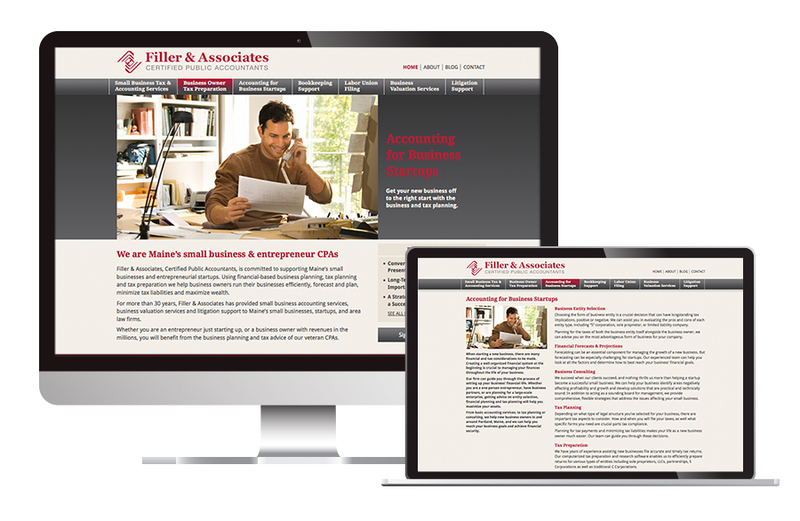 Connecting their e-newsletter directly with their web site blog has driven current clients to learn more about Filler’s expertise and additional services.